The Faculty of Mechanical Engineering offers several programs leading to a Master degree (MSc, ME) and a program leading to a Doctoral degree (PhD). These programs are open to graduates of a Bachelor degree (BSc) in Engineering, and to graduates of scientific departments (such as Mathematics, Physics, Computer Science) in accredited academic institution. Candidates include those with a BSc in Mechanical Engineering with appropriate grades, or those with a BSc in an alternative engineering program who may be required by the Faculty Graduate Studies Committee to complete specific undergraduate courses. This degree prepares the graduate student for scientific work directed to research and development. Candidates include those without a BSc in Mechanical Engineering but with appropriate grades (such as graduates from alternative engineering or scientific faculties). Students will be required by the Faculty Graduate Studies Committee to complete specific undergraduate courses only if they are pre-requisites to the courses in the candidates’ research area. This program in based only on accumulation of credits and does not include submission of a thesis. The program is intended for external students with a BSc in Mechanical Engineering with work experience. This program prepares the graduate student for advanced work in development or applied engineering. Candidates include external students without a BSc in Mechanical Engineering upon approval of the Faculty Graduate Studies Committee. Candidates for the non-thesis ME programs are required to specify their request explicitly on their application forms. Acceptance to all MSc and ME programs are governed by the rules of the Graduate School and the Faculty of Mechanical Engineering. These rules are subject to change. In the recent years, the minimal required BSc Grade Point Average (GPA) for candidates to the MSc and ME programs was 80 and 75, respectively, together with 2 letters of recommendation. Candidates form a scientific 3 year program will be required to complete undergraduate courses before beginning their graduate courses. The list of required undergraduate courses will be decided by the Faculty Graduate Studies Committee. A candidate accepted to the MSc program will have a temporary advisor who will assist the graduate student in finding a permanent advisor from the list of faculty members. The permanent advisor will define the research topic and determine the required graduate courses. A permanent advisor should be selected as-soon-as possible within the first semesters of graduate studies. A graduate student without a permanent advisor will not be able to study courses that are not in his area of research. Graduate courses with no less than 20 credits (or 28 credits for a final project). Language exams in English or Hebrew as specified by the Graduate School Acceptance Letter. A public seminar on the research program prior to submission of the thesis to the graduate school. Submission of a research thesis (20 credits ) or a comprehensive engineering project (12 credits). Graduate courses with no less than 35 credits. Submission of a final project or seminar (5 credits) supervised by a faculty member in mechanical engineering. A ME student must be registered in the graduate school for at least a single semester. The compulsory and elective graduate courses in the respective research areas are updated annually and appear in the faculty website. The MSc degree requirements include completion of all the program requirements and satisfaction of all the graduate School rules. For example, a graduate student who has not completed his program requirements in 6 years will be required to study an additional course for each additional semester (see item 25.03 of the Technion Graduate Studies Rules). The PhD program is intended for candidates with an MSc degree from an accredited university with very good achievements in their BSc and MSc programs. The Faculty Graduate Studies Committee can approve a direct PhD track for graduate students who began their MSc studies and have exceptional achievements in both graduate courses and research. The candidate should have proven capabilities for conducting independent research in addition to appropriate academic achievements. In the recent years, the minimal required MSc Grade Point Average (GPA) was 90 together with 3 positive letters of recommendation (including a letter from the MSc advisor). Completion of pre-requisite requirements defined by the Faculty Graduate Studies Committee (if any). Graduate courses with no less than 8 credits. Submission of a PhD research proposal prior to its defense the Candidacy Exam. Submission of a research thesis prior to the Final exam. BSc in Mechanical Engineering from a highly ranked university. Very good academic achievements (GPA of BSc and class percentile ranking). Letters of recommendation from 3 faculty members who are able to evaluate the student achievements. 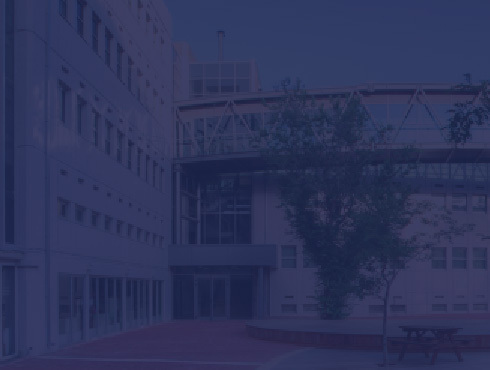 The letters of should be sent by the recommenders directly to the Graduate School [IntGrad@technion.ac.il ]. General GRE test results should be sent directly to the Graduate School [Technion code 0343]. In the recent years, the minimal GRE exam scores were Quantitative Reasoning of top 85%, and Analytical Writing no less than 3.5. Personal interview conducted by the Faculty Graduate Studies Sub-committee (via SKYPE) where both English language achievements and academic background will be verified. The candidate must find an advisor willing to supervise his MSc research program. The Faculty Graduate Studies Committee will recommend acceptance/rejection and specify pre-requisite courses if needed. The Faculty Graduate Studies Committee will recommend/reject application of a Fellowship. A candidate who did not complete a 4 year engineering/science program will be required to complete 20 credits form a list of courses defined by the Faculty Graduate Studies Committee. MSc in Mechanical Engineering from a highly ranked university. Candidates who did not complete their MSc program and were awarded their degree will not be considered. Letters of recommendation from 3 faculty members who are able to evaluate the student achievements (of which 1 must be the MSc advisor). The letters of should be sent by the recommenders directly to the Graduate School [IntGrad@technion.ac.il ]. The candidate must send the approved copy (in English) of his MSc thesis (pdf format) directly to the Graduate School [ IntGrad@technion.ac.il ]. The candidate must find an advisor willing to supervise his PhD research program.